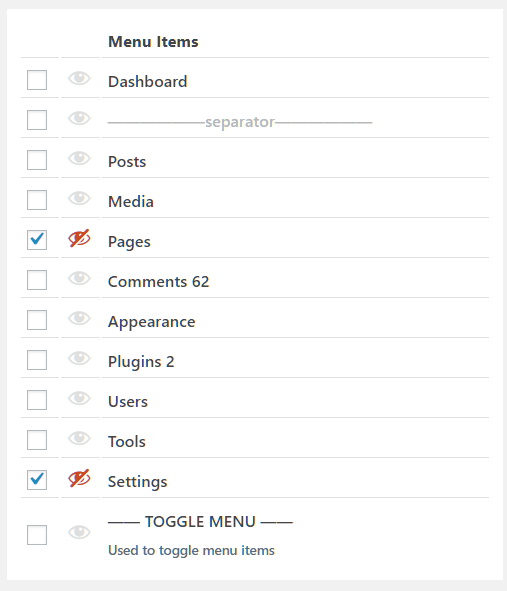 Just another WordPress plugin to clean up the admin menu that enables the admin to hide useless menu items in the admin panel. 1. 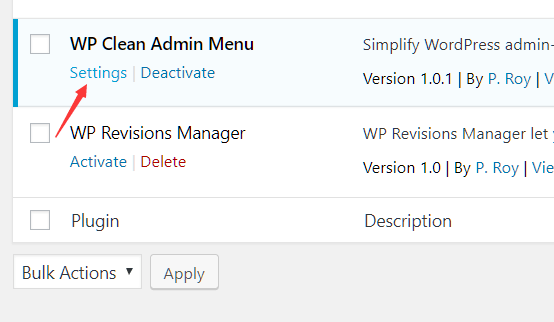 Download and save the WP Clean Admin Menu plugin in the local. 2. Login to the admin panel and upload the zip on the Add Plugins page. 3. Install the plugin by clicking the Install Now button. 4. Set up the plugin after you activated the plugin. 5. Select menu items to be hidden. 6. Save the changes and done. 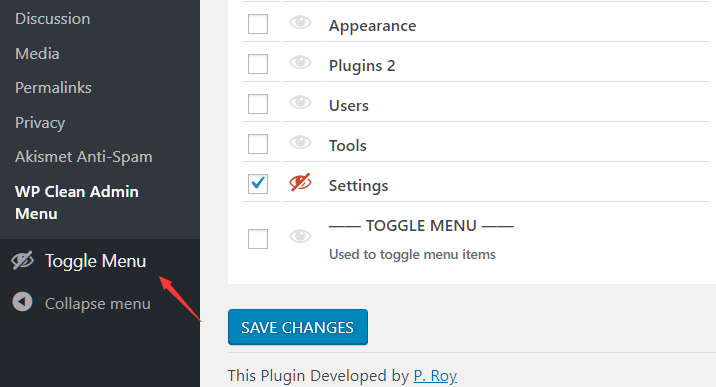 The plugin also provides a Toggle Menu link to show/hide the menu items when needed.